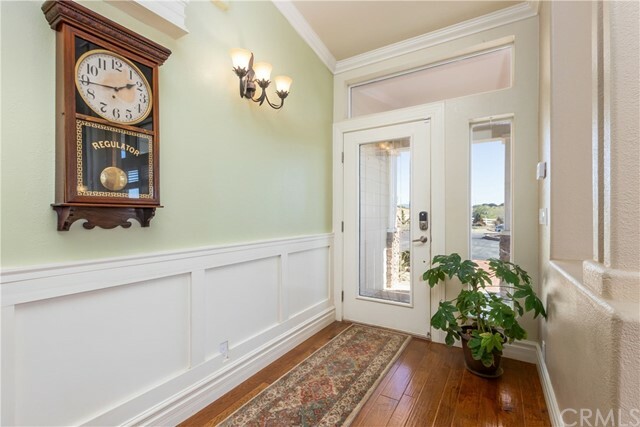 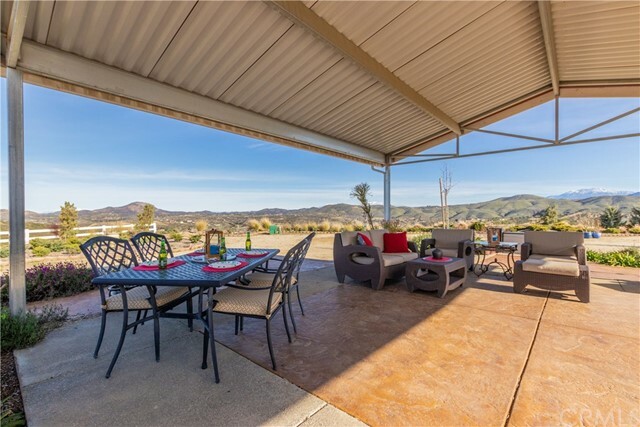 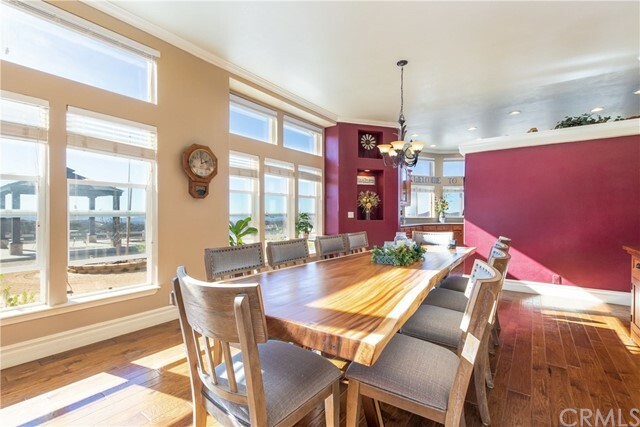 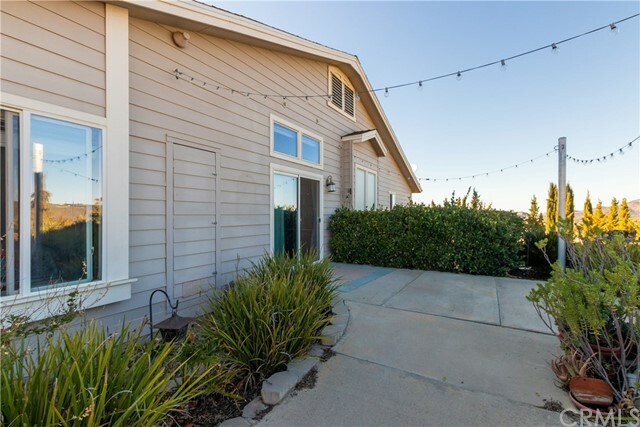 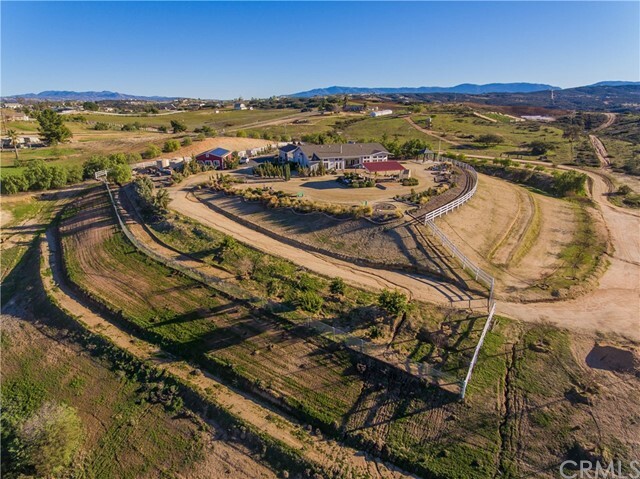 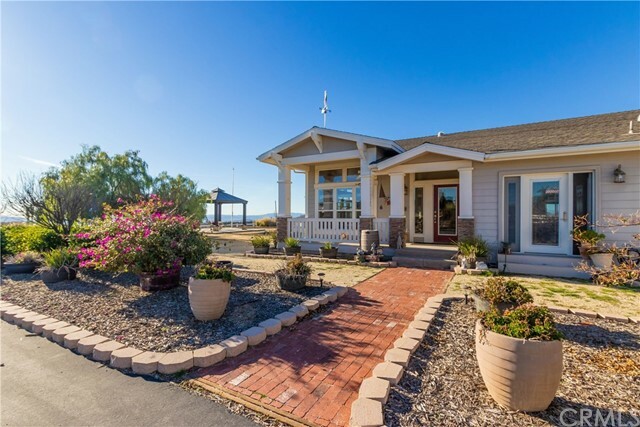 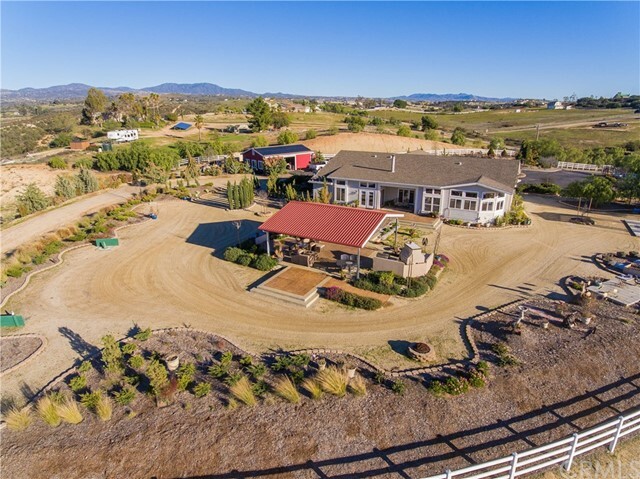 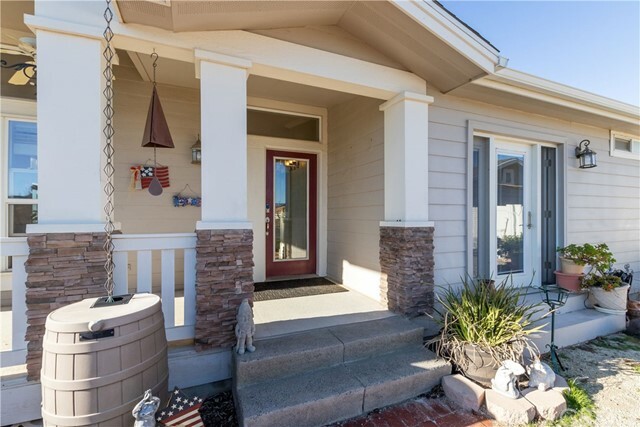 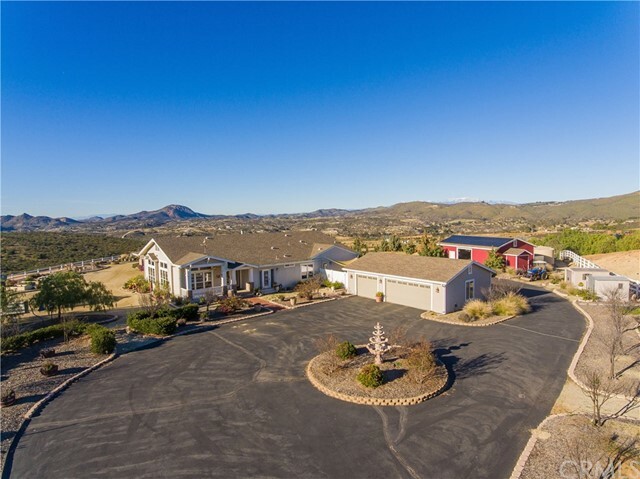 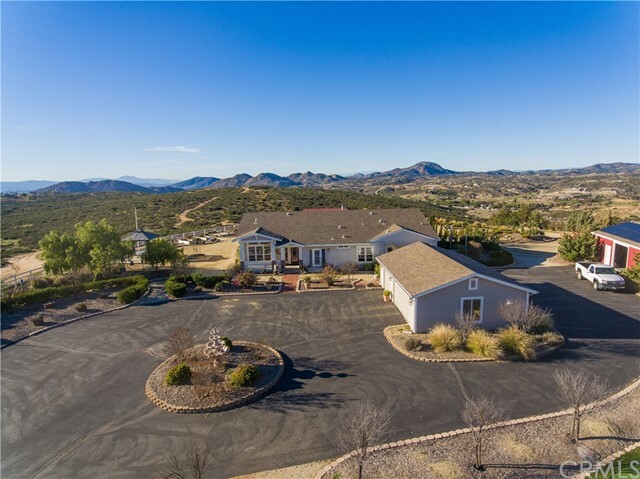 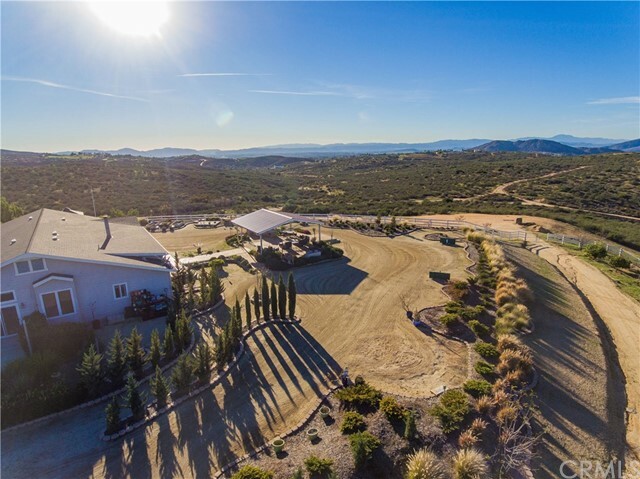 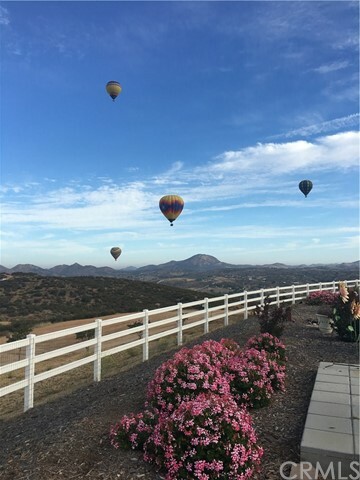 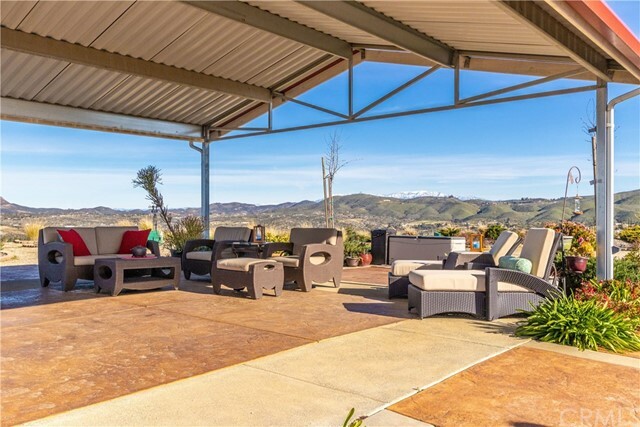 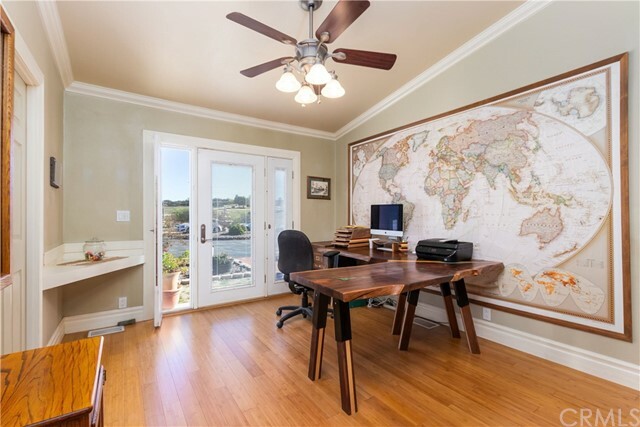 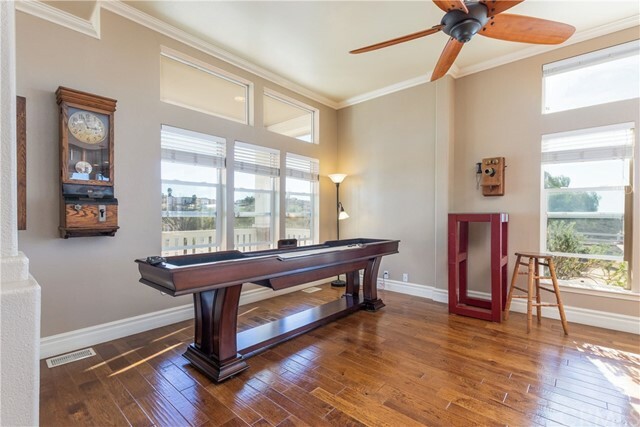 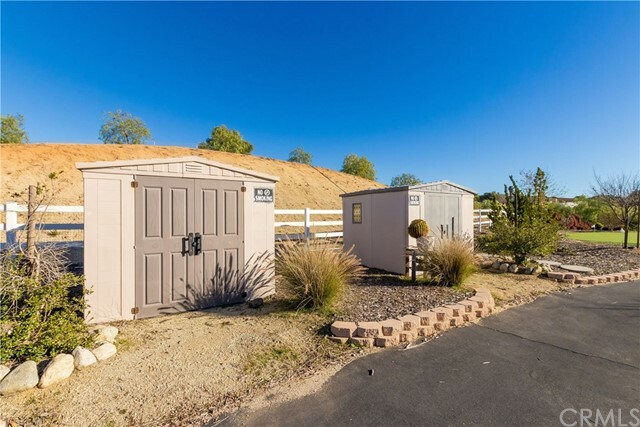 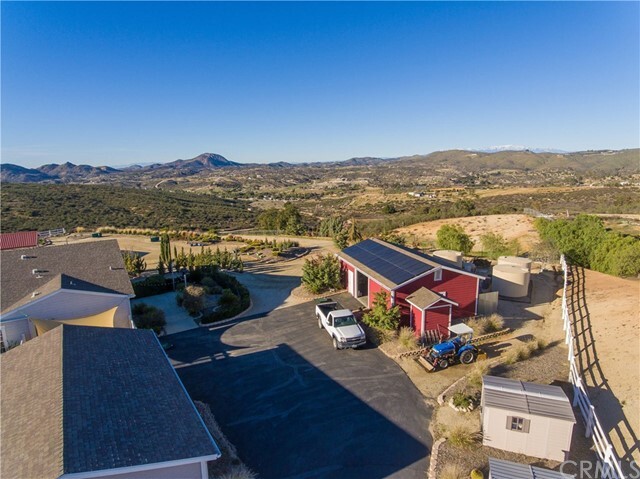 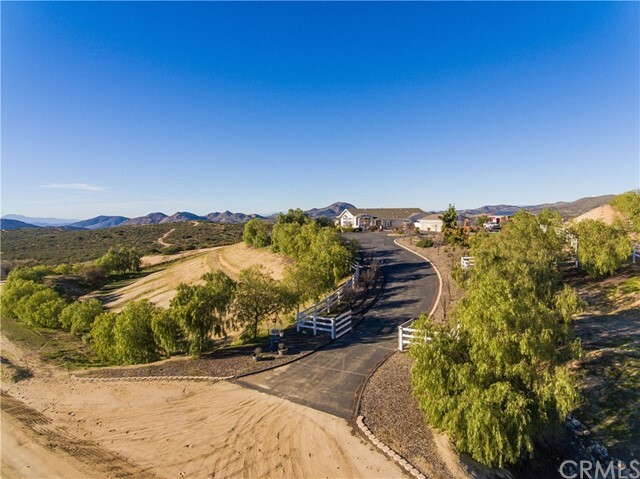 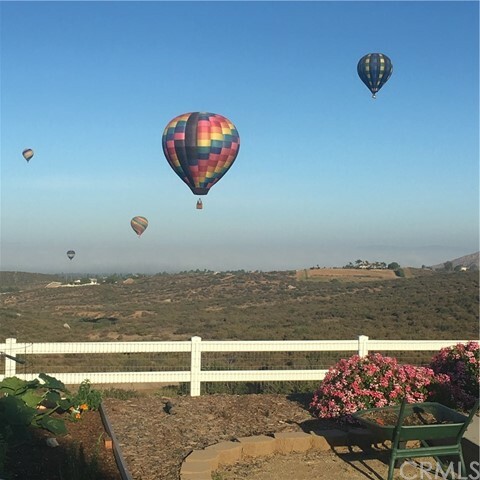 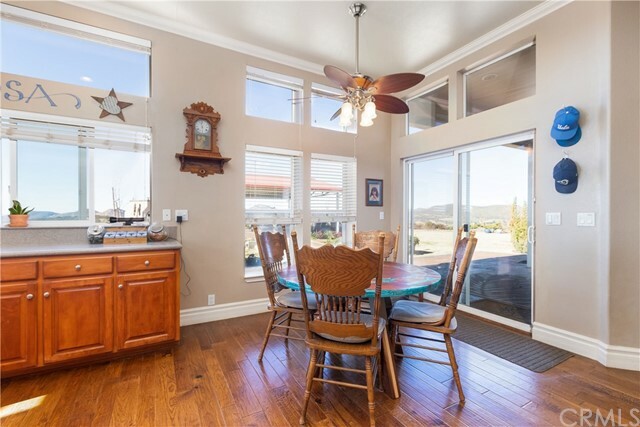 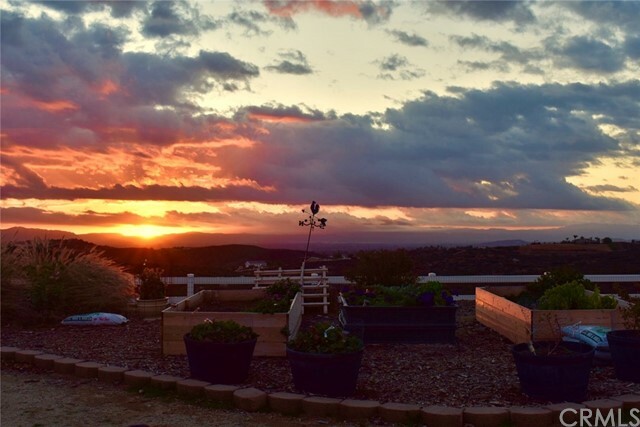 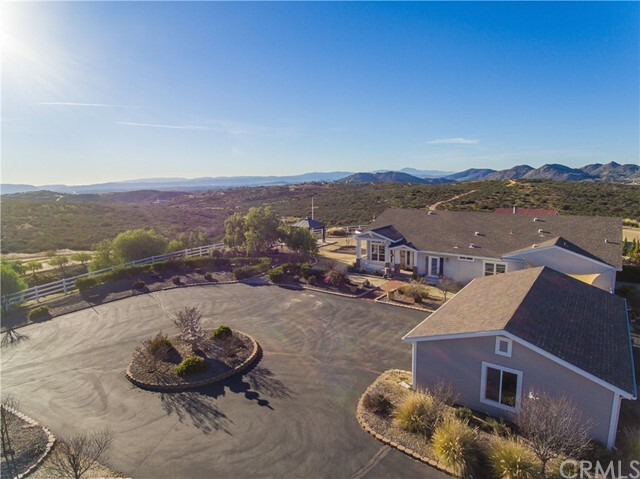 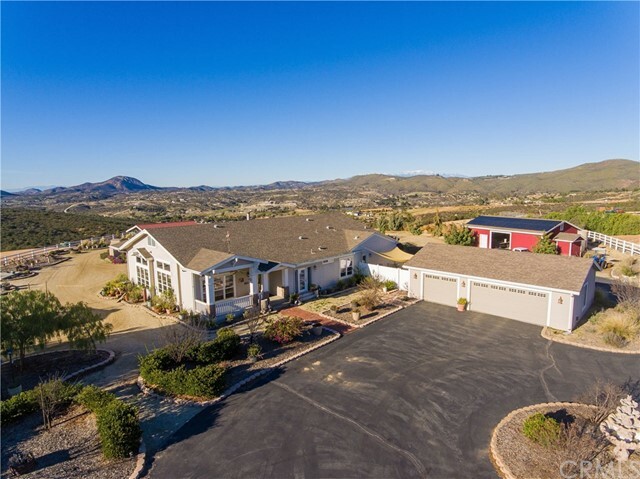 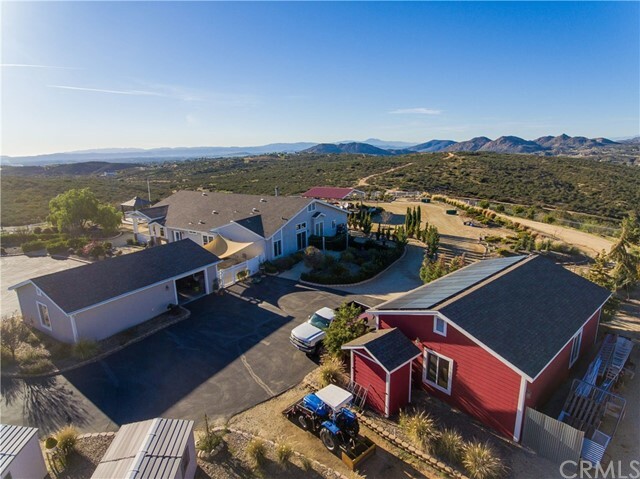 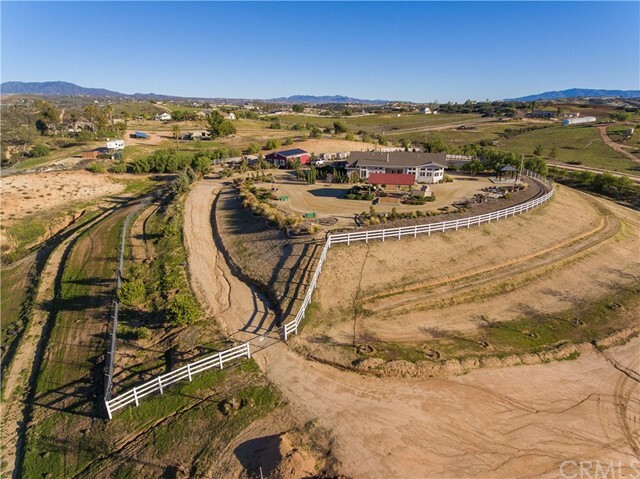 Nestled at the top of the hills in the heart of Temecula Wine Country, enjoy the breathtaking views from this amazing property. 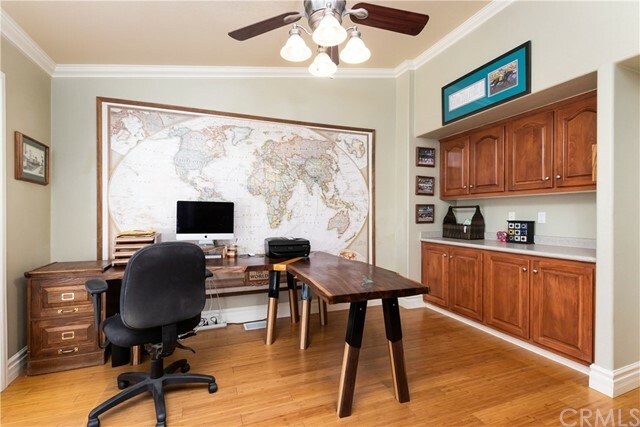 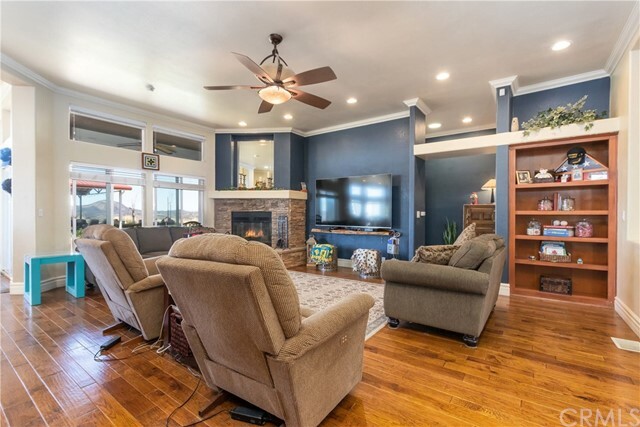 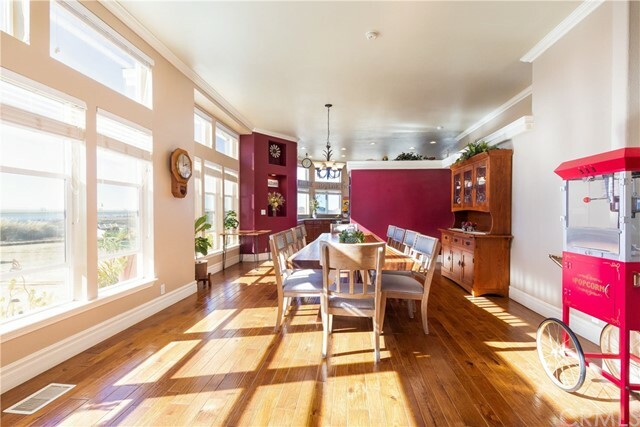 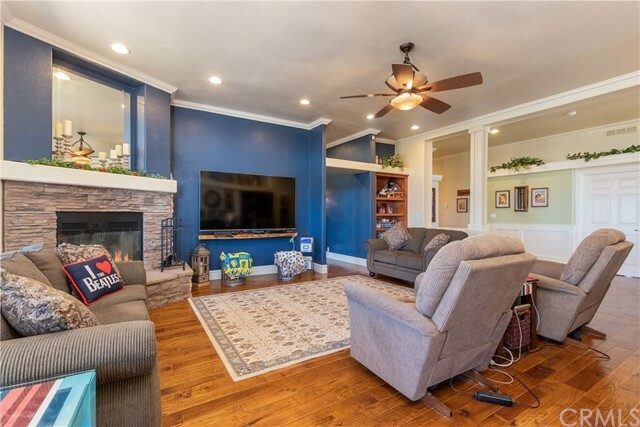 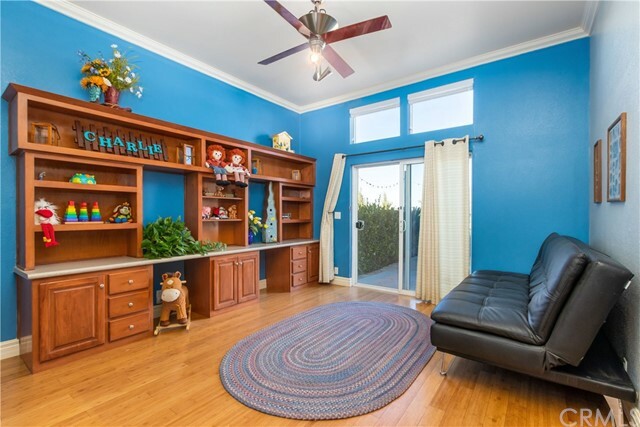 This home boasts an open and well designed floor plan, high ceilings, hardwood floors, and is bathed in an abundance of natural light. 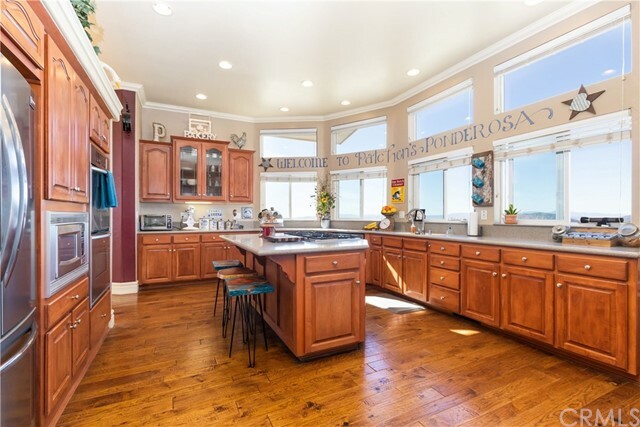 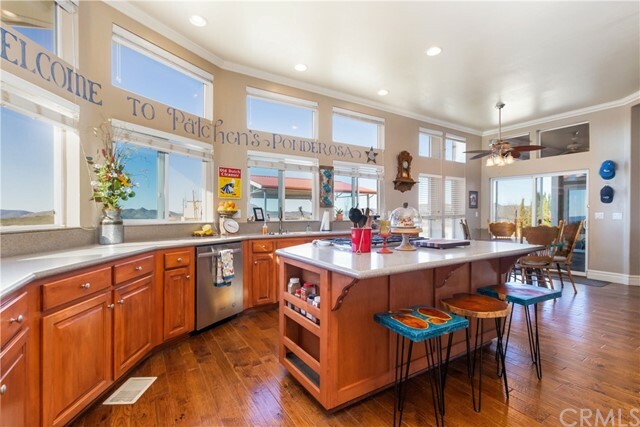 The kitchen is a chef/baker’s dream, with endless counter and cabinet space, and TWO walk-in pantries! 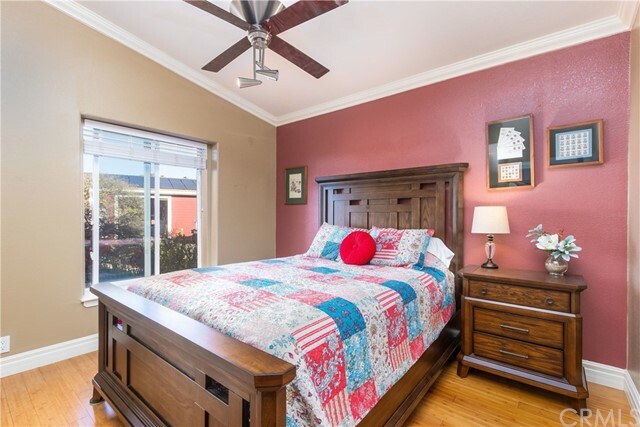 Each bedroom is spacious and private. 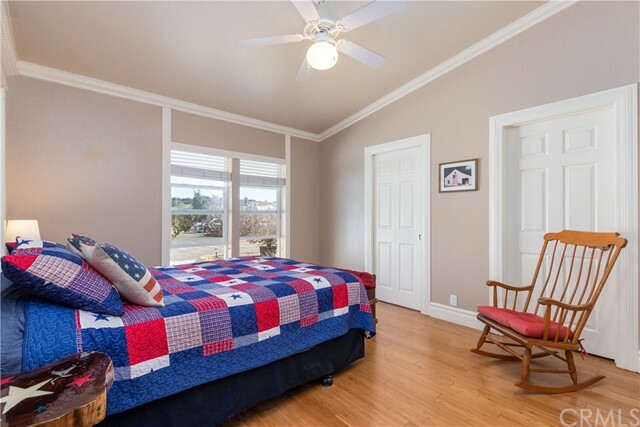 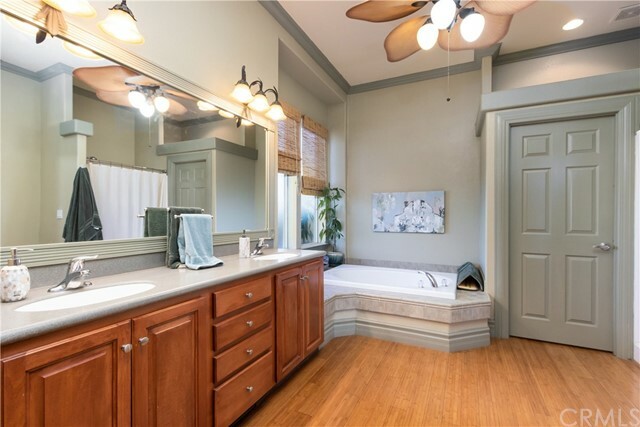 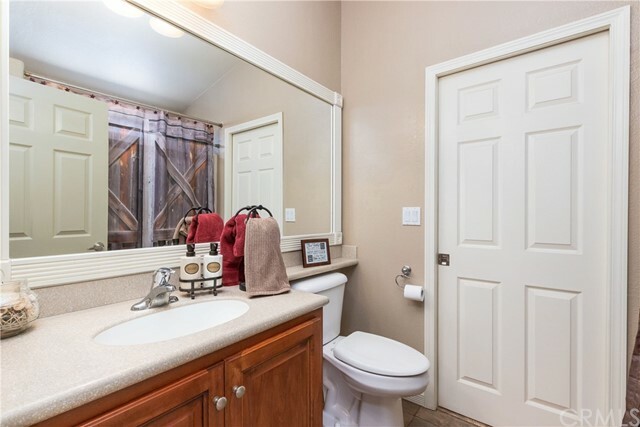 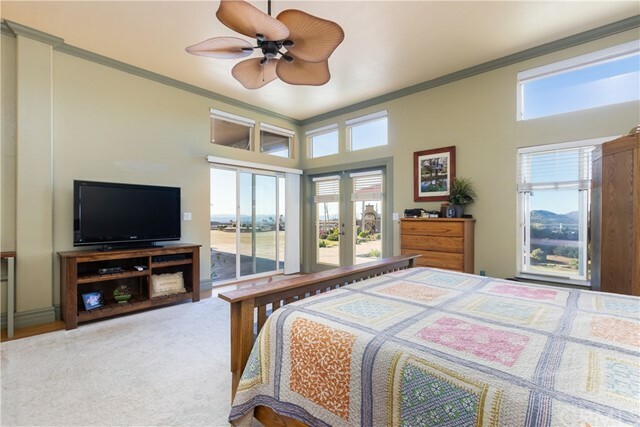 The master bedroom suite, with french doors leading to the backyard, has SEPARATE his/her closets, a sunken spa bathtub, and a dressing table with incredible views of the wine country hillside. 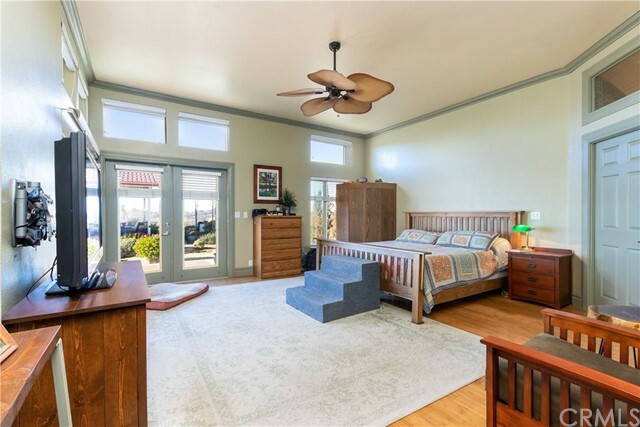 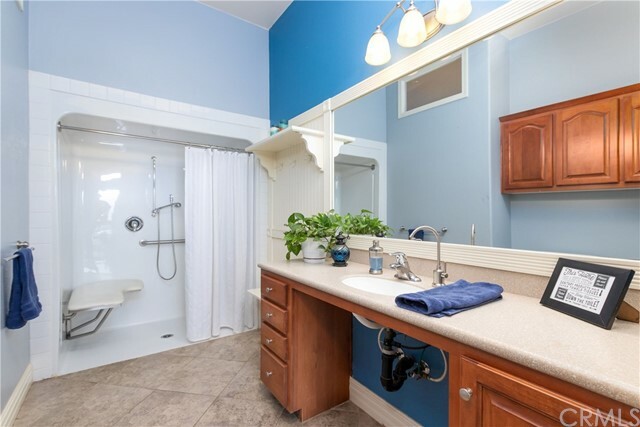 The generously sized In-law/Guest Suite has its own private entrance, sitting room, and full bathroom that is fully equipped for wheelchair access. 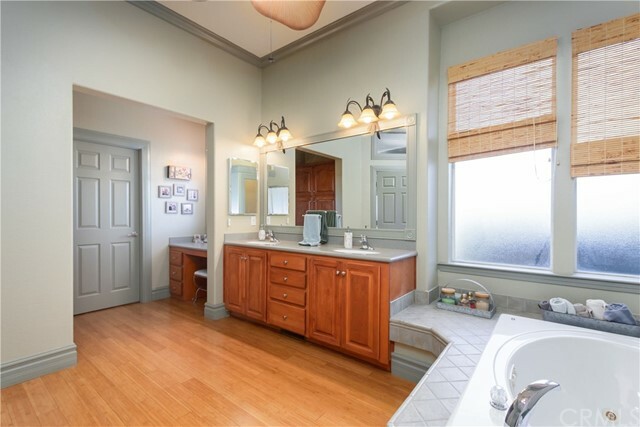 The incredible 860+ sq. 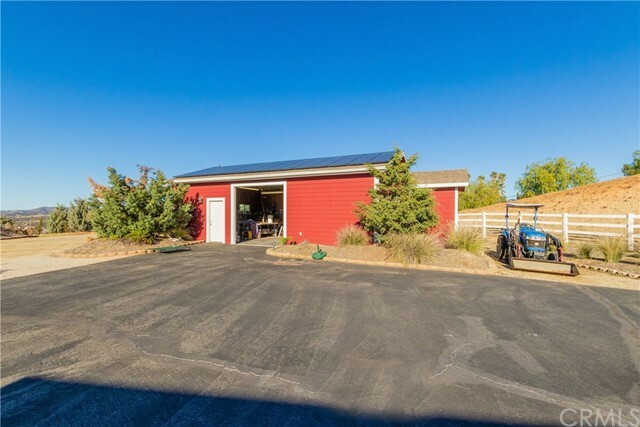 ft. WORKSHOP is a DIYers dream and is equipped with a large work bench and commercial sized metal shelving, and tall enough for a lift! 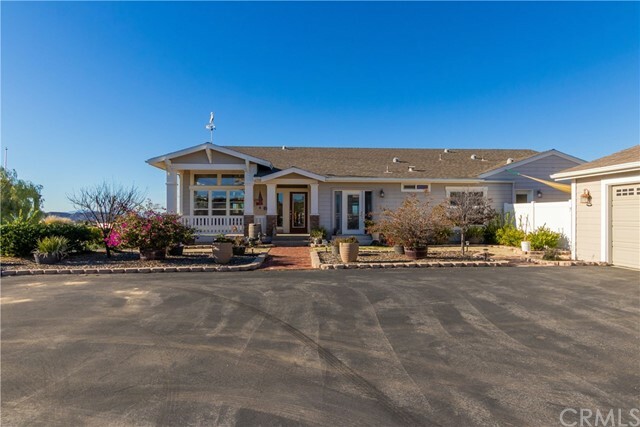 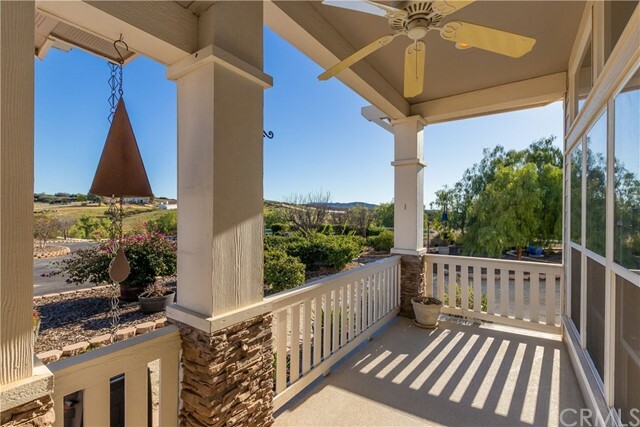 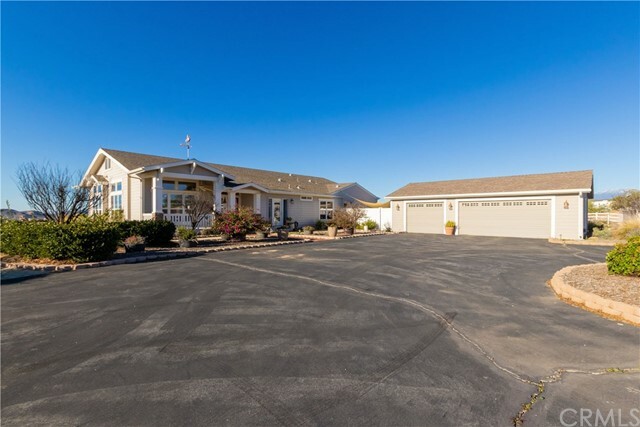 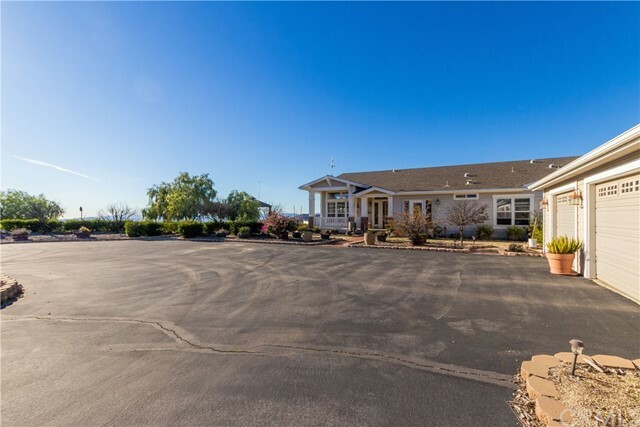 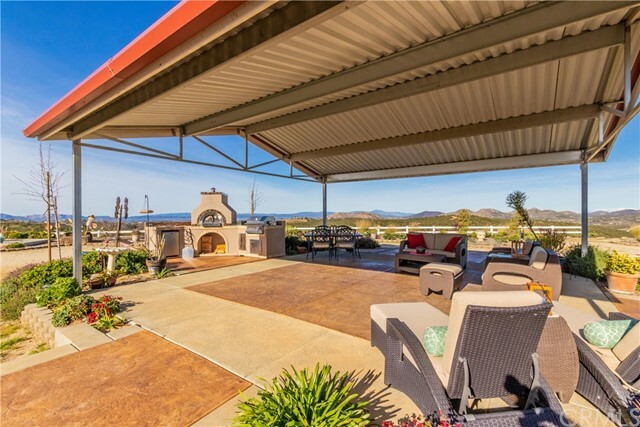 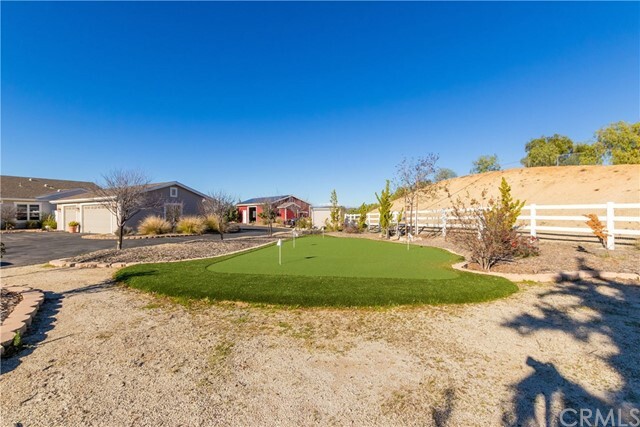 Enjoy the serenity of this property while relaxing on the over-sized, covered sitting area watching hot air balloons fly by, or while practicing your swing on the putting green. 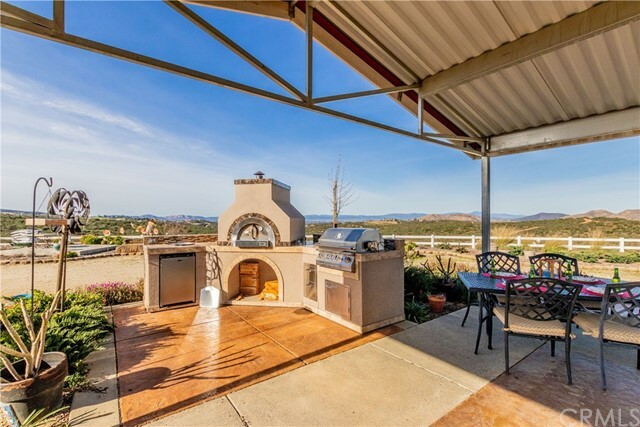 Take advantage of the great Temecula Valley weather and make your meal outdoors! 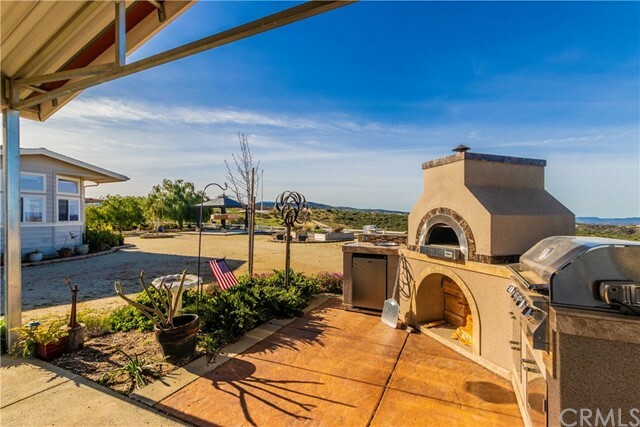 Bake a pizza or barbecue in the brand new outdoor kitchen! 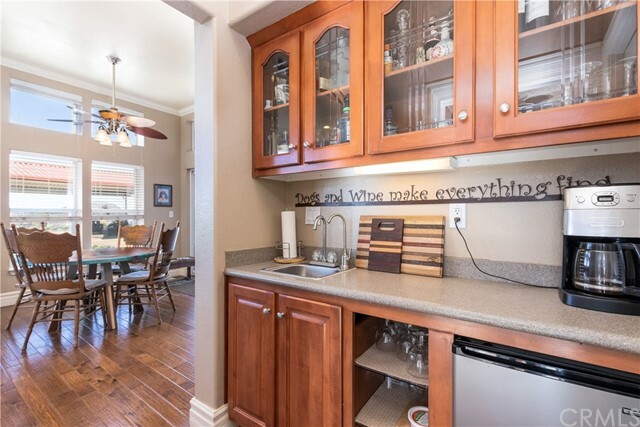 HUGE UTILITIES SAVINGS!! 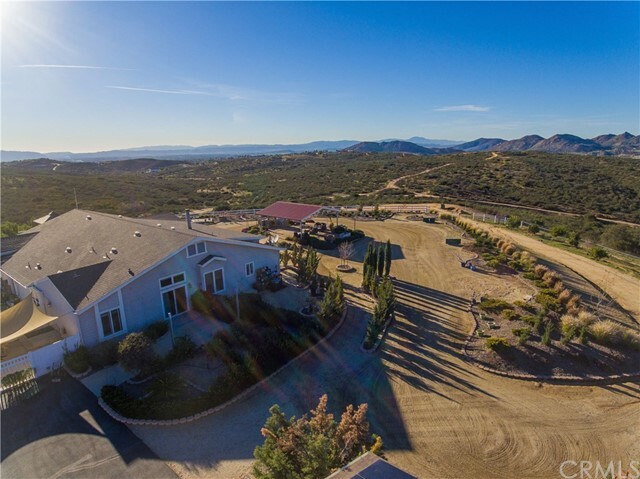 This property has its own 800' deep well with three 5,000 gallon holding tanks AND completely paid for SOLAR PANELS! 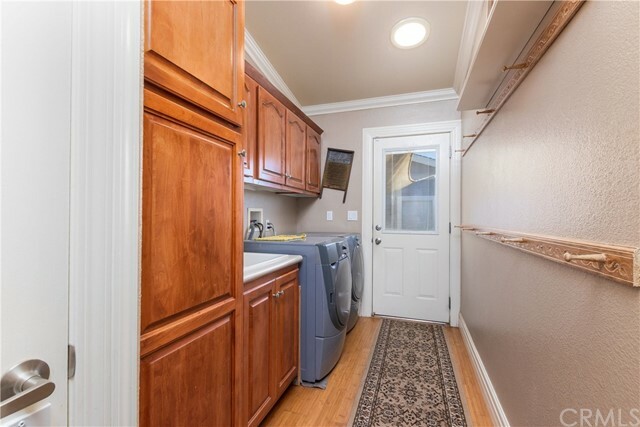 TOTAL UTILITY EXPENSES FOR 2018 (propane, electric, water) ONLY $1200!! 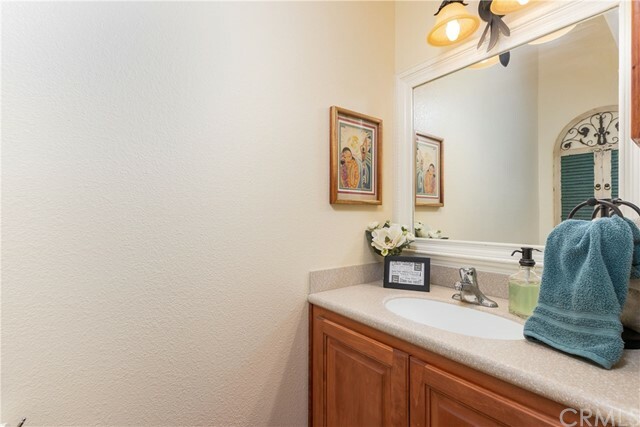 Remember to enjoy the virtual tour!